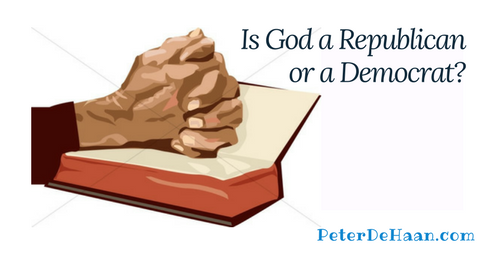 HomeBlogThe BibleIs God a Republican or a Democrat? I have Christian friends who are staunch, conservative Republicans.When they read their Bible, they see God as a conservative Republican.They cannot comprehend how anyone who follows Jesus could be or think like a Democrat.Their views are found and substantiated in the Bible. We need to—we must—take off the blinders and cast aside our filters, instead reading the Bible with an open mind, focusing precisely on the parts that don’t align with our preconceived notions and preferences, which are anathemas, and that cause us confusion or even anger. It is in truly considering all that the Bible has to say that we will have a chance for real understanding and spiritual growth.